Michael Bloomberg's exploration of a presidential bid poses a difficult conflict for the media company he owns. Bloomberg LP's newsroom has a long-standing policy not to cover itself. But the newsroom has little choice to at least acknowledge how Bloomberg could upend the presidential race. On Monday the former New York City mayor told a rival news organization -- the Financial Times -- that he is "looking at all the options" and knows he'll have to decide by next month due to ballot deadlines. Giving the scoop to the Bloomberg-owned Bloomberg Politics would have raised eyebrows. Then again, media critic eyebrows are already straining at the possibility of a Bloomberg bid. "A stellar organization remains beholden to the goose with the golden egg, namely multi-billionaire Bloomberg, but can't really report when he lays one," Poynter chief media critic Jim Warren wrote Tuesday. 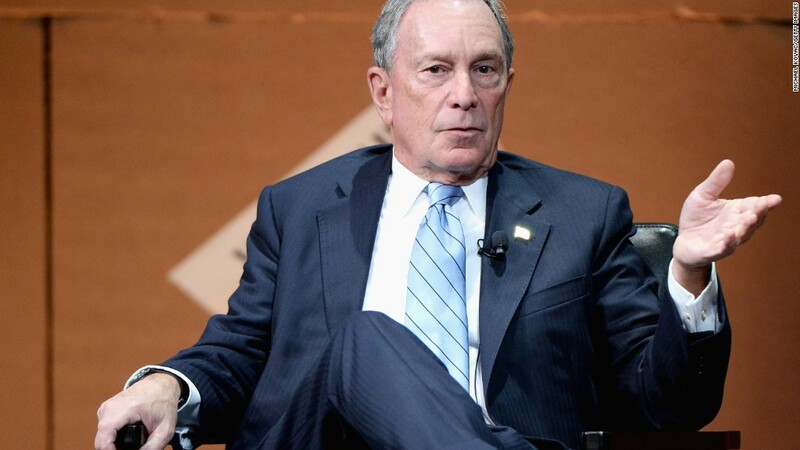 "Bloomberg's leader has once again left his giant editorial army in a pickle." Bloomberg L.P. makes most of its money by selling subscriptions to financial terminals. Its media arm includes a sprawling newswire, business information service, multiple magazines, web sites, and television networks around the world. The company has invested heavily in its Bloomberg Politics operation in recent years. Mark Halperin and John Heilemann are the co-managing editors of Bloomberg Politics and the host of a daily newscast called "With All Due Respect," which replays on MSNBC. So how's Bloomberg covering its boss? Gingerly. When The New York Times reported last month that the former mayor was mulling a presidential run, Bloomberg Politics ran one story about the news that day: an aggregated, bullet point summation. 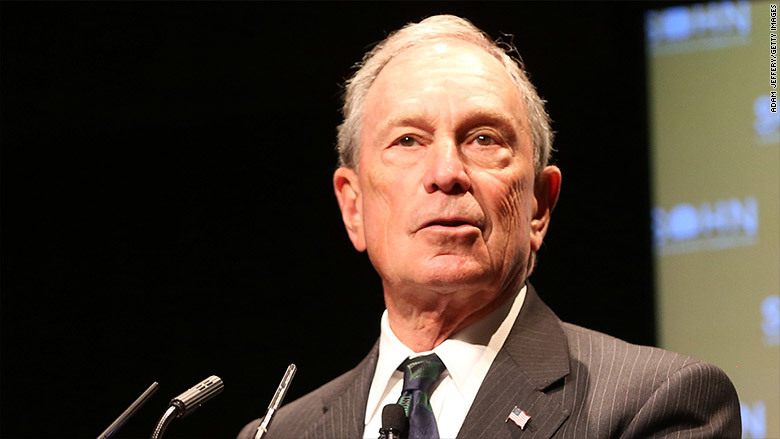 Bloomberg Politics ran several additional stories on the subject in the days following the Times report, including citing Bloomberg's pollster and another about Hillary Clinton saying there would be no need for a Bloomberg campaign. The web site ran a nearly identical aggregated post after the FT interview was published around 4 p.m. Monday. Another Bloomberg story on the state of play in New Hampshire cited the FT interview and included a "declined to comment" from Bloomberg spokesman Marc La Vorgna. Halperin and Heilemann didn't mention the FT interview on their Monday show. But on MSNBC's "Morning Joe" on Tuesday, Halperin didn't mince his words when asked about Bloomberg. "Michael Bloomberg has to decide — with a deadline — about whether there is an opening for a third party or independent candidate to run. It's very hard to win 270 electoral votes" as an independent, Halperin said. When contacted by CNNMoney on Tuesday, a Bloomberg representative declined to comment about its coverage of the boss. Bloomberg L.P. has long prohibited reporters from covering the owner's personal life and wealth -- a policy that's evident in his omission from the "Bloomberg Billionaires Index." But a presidential bid is something else entirely. Already, one top editor at Bloomberg Politics has publicly expressed frustration. Kathy Kiely, who served as Washington news director, turned in her letter of resignation late last month. "I was not comfortable with how we were reacting to this story and I didn't see any indication that the situation was going to improve soon," Kiely told CNNMoney at the time.